All reporting is confidential–any data used for research purposes is anonymized and the Institutional Review Board has approved their methods. The app askes for a location the incident occurred and includes an option to add a photo or video. 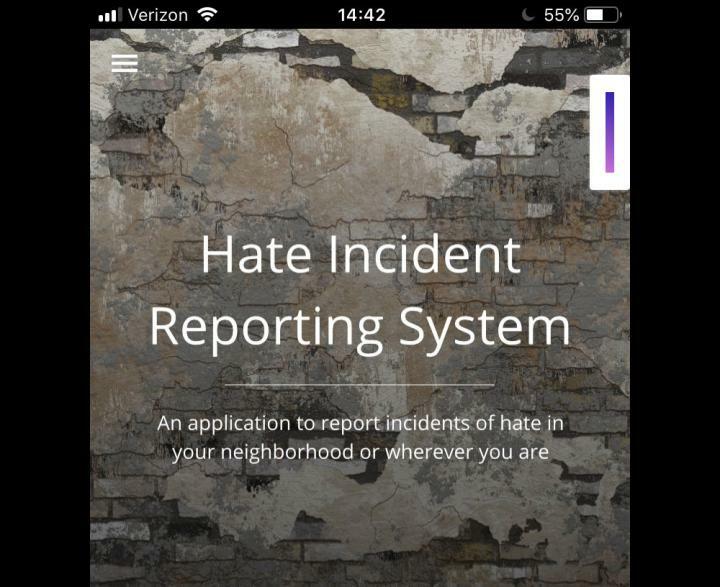 Users then classify the incident out of multiple types of bias: religion, disability, gender, identity, race, ethnicity, sexual orientation and other. Two federal agencies track and report on hate crime incidents, victims, offenses and perpetrators; the FBI’s Uniform Crime Reporting (UCR) program receives data from crimes pursued by local law enforcement agencies, and the Bureau of Justice Statistics National Criminal Victimization Survey (NCVS) collects both reported and unreported to police. However, the two sources have wildly different statistics–the NCVS reported that there are about 250,000 hate crime victims per year, while the UCR data estimated just over 8,800 victims in 2017. The NCVS found that more than half of all hate crimes were not reported to the police.